deDiCorp Inc. Company as a Holding was created in 2011 году, uniting a number of Companies, which have been working on IT market since 2003 year. The key specialization is hosting service, rent of virtual VPS/VDS servers, dedicated servers, registration of the domain names, issue of the SSL Comodo, Geotrust, Thawte Certificates. Long term partnership links with big data centers, located in the USA, Canada, China, Amsterdam form optimal conditions for effective realization of the enumerated services . Physical servers used pose innovative new age equipment, functioning in HopOne, EvoSwitch, Leaseweb, Equinix, SafeData data centers. 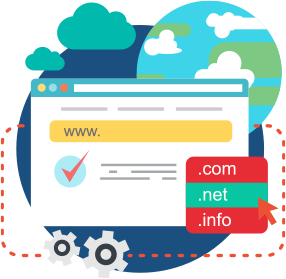 The registration of the domain names is executed by involving trust operators such as ENOM, Directi, RU-CENTER, REG.RU. Definitive professionalism of each specialist is complemented by rich experience in the sphere of virtual operations support and informative security control. We are always in touch and ready to answer any your questions! deDiCorp Inc.Comany is a reliable platform for successful internet projects!